August 1, 2015. Out U10 Team A entered into a 3v3 tournament (regional Qualifier for the ESPN Disney National Championships) and placed second in the U10 Gold Brackets. 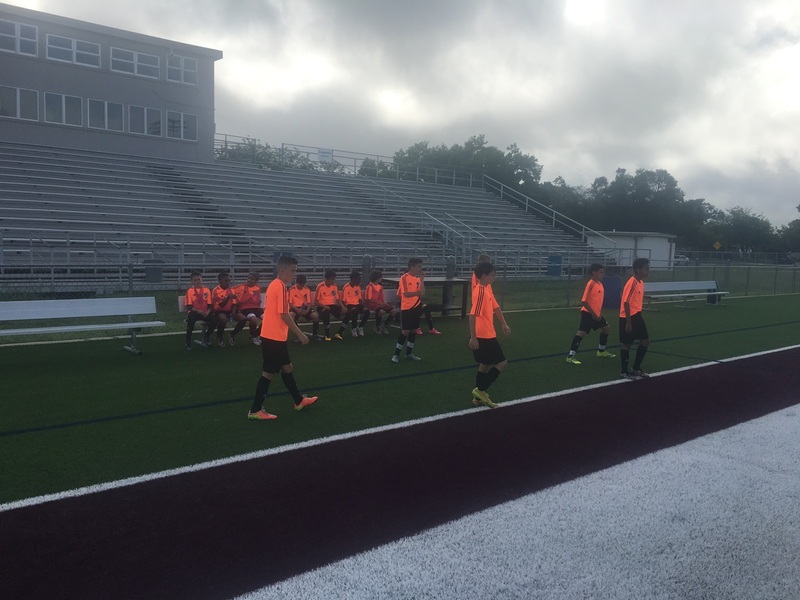 What a hard fought match with a top club from Pennsylvania. Long day of 4 matches with only 1 sub. Kudos to Grace, Gage, Liam and Bijan for staying tough. The final came down to a Golden Goal Final. I have to say – the team showed their fire. First Half - very quickly DCA was down 5 – 0. The kids were a bit down, but they really dug deep for the remainder to end 6-3 at halftime.Second Half – DCA as a team stayed focused on the defensive strategies and hammered back into the game to finish a 9-9 draw. Golden Goal – 1 min and 7 seconds in, the opponent succeeded in a far left post shot from the far right back line. Our second place victory earned us an automatic spot in the Nationals in Disney sponsored by ESPN. 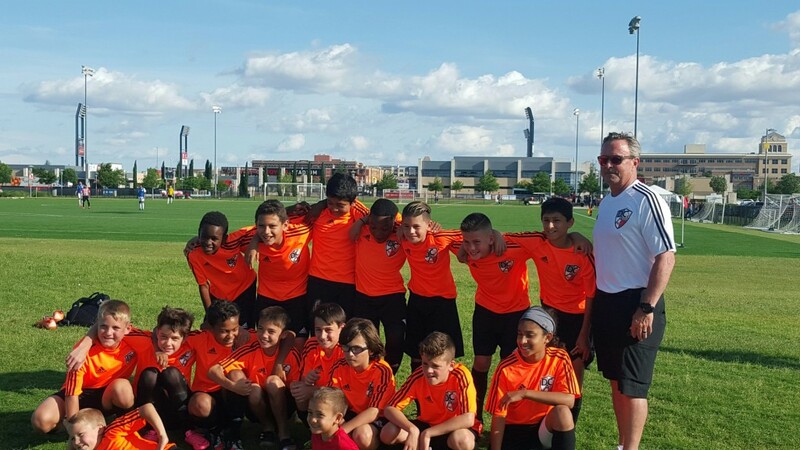 What a success – thanks to Steve Winter and DC United for running a great event. 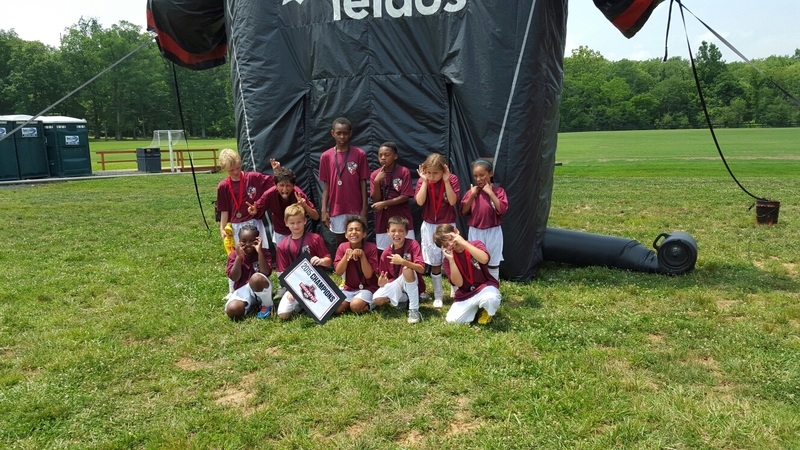 Our U10 Team A finished First – and has qualified on to the Regionals. 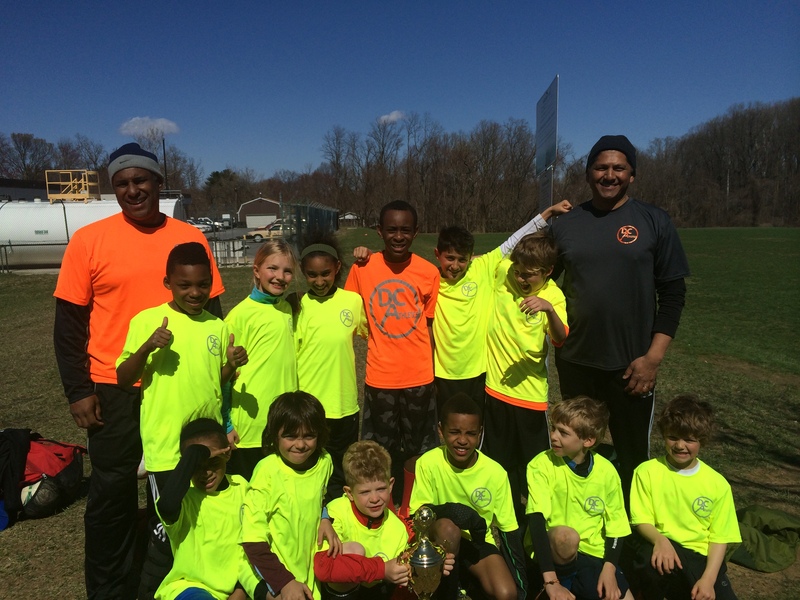 What a success… Spring Lee Mt Vernon Crossover League was a success for DCA U7/8 players. We are not about winning, but rather to be successful and showing perseverance as a team. With that goal in mind.. as a club we won all but one of our games. Our record 11 – 0 – 1. Our loss .. we had 5 of our team mates out with Strep. As a wrap up to the Winter Futsal, DCA was invited to local FUTBOLITO Tournament by a neighboring league (Cosmopolitan Soccer – CSL) in Montgomery County. Originally planned for March 21, 2015 as an ICEBREAKER. Originally DCA was sending Four Squads (2 – U7/8 and 2 – U9/10). After two rescheduling we re able to proceed Saturday Arpil 4, 2015. For those who did not make it – we wished you a very Happy Easter Holiday and kickoff to your Spring Break Vacations! But you missed some great TEAM Soccer! DCA’s debut was a rocking success! Our U7/8 team went undefeated in 4 matches showing pace, tenacity, and positional acuity. When down 0-2, they rallied back to a 3-2 victory. Our U9/10 team went 2-1-0 in bracket A. Very challenging teams! In the finals, they finished 4-2 victoriously in the same fashion as the younger group. They played hard, played calmly, and played as a unit.